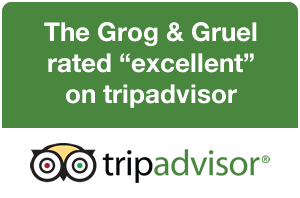 Whatever you are looking for, The Grog & Gruel is a great place to eat in Fort William. Food is available from midday through until late evening every day. 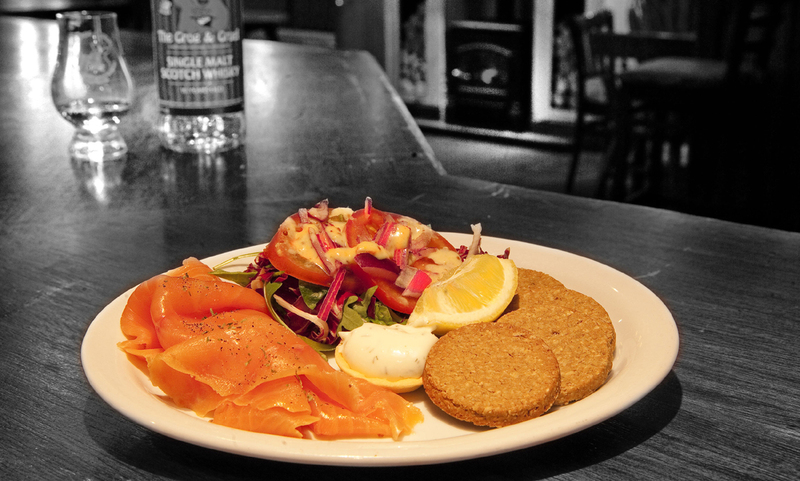 Whether you’re looking for some pub food; a light snack to keep you going throughout the day, or a more relaxed restaurant meal in the evening, you’ve found the right place. 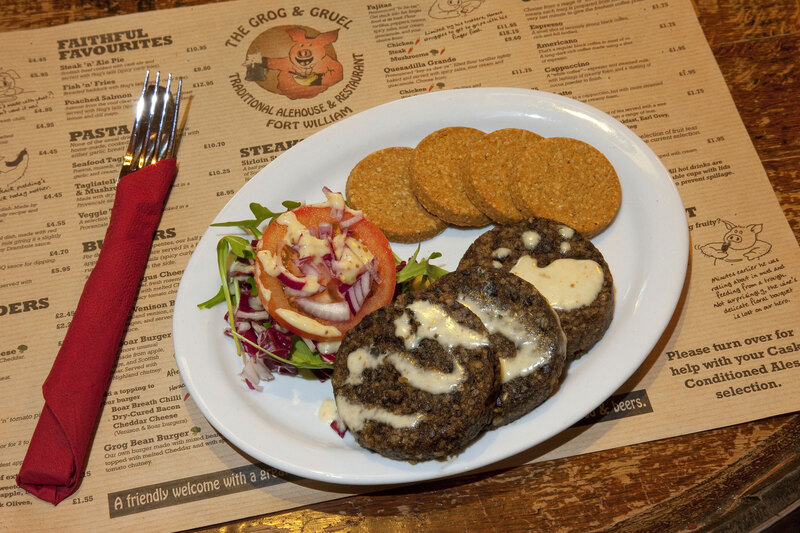 Our approach to food served at The Grog & Gruel has always been quite simple. 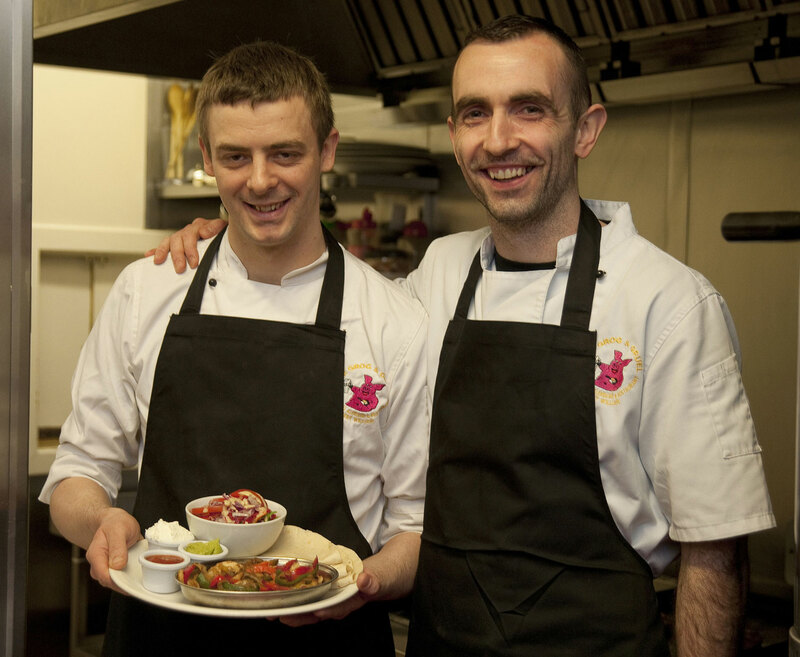 We aim to provide an imaginative and interesting menu at affordable prices. That doesn’t mean we’re the cheapest in town, but it does mean that we’re serving great food at sensible prices. Not only do we aim to give good value for money, we also aim to provide a high degree of satisfaction by using fresh ingredients and preparing much of our food to order. The Restaurant is open in the evenings from 5pm. 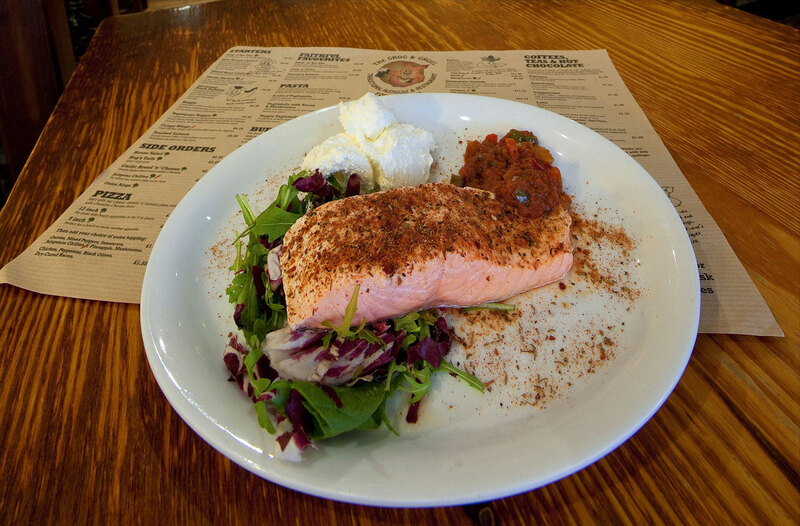 We describe our menu as imaginative and a little bit eclectic, with something for everyone. As restaurants go, our style is also relaxed and informal. In either case, you are welcome to order drinks, including our selection of cask conditioned ales from the Alehouse. We also served fresh coffee and a range of teas. A wee taste of this traditional Scottish dish. 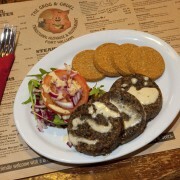 Made by MacSween of Edinburgh to an old family recipe and served with a creamy Drambuie sauce. 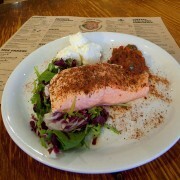 West coast salmon gently poached and dusted with cajun spices. 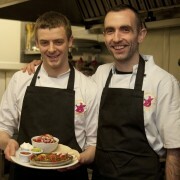 Adam and Tommy, our long serving, long suffering chefs, who keep on producing some great food at The Grog & Gruel.